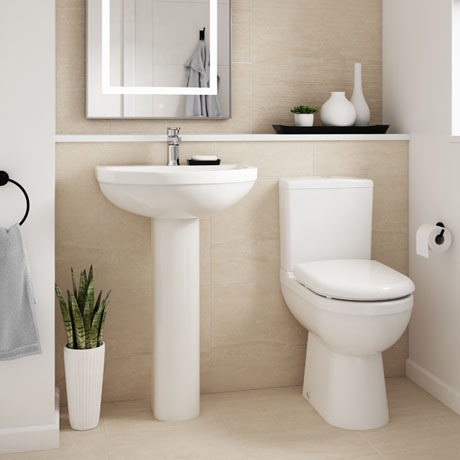 The Ivo bathroom suite features an extended pan height of 450mm making it a practical option for the taller person or those who have mobility concerns. Manufactured from high quality vitreous china, the toilet cistern has a water-saving dual flush button giving 4 and 6 litres respectively. Includes a soft close top fixing seat and basin with full pedestal, it's stylish design that enhances the appearance of any modern bathroom.